Whales are the perfect summer attire on toddler boys. 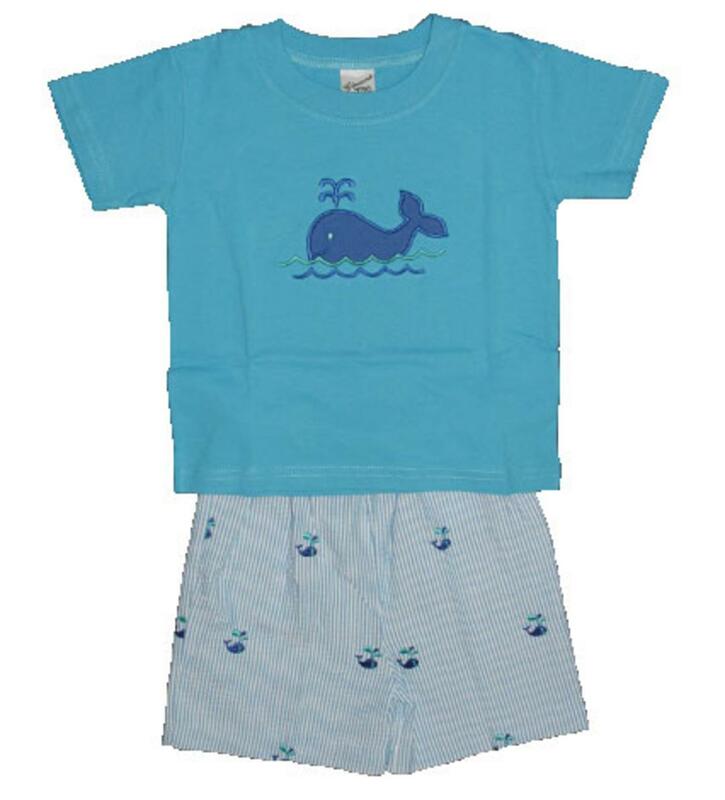 This turquoise shortsleeve shirt has a royal blue whale applique on the chest. There is a stretchy neckline on the shirt and matching pull-on shorts. 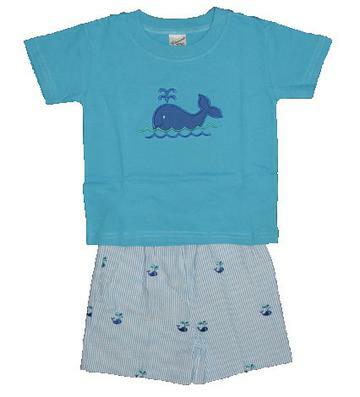 The turquoise seersucker shorts have a blue whale embroidered all over front and back and a stretchy waistline. The soft shirt is 100% cotton and the shorts are 55% cotton and 45% polyester.